Born in Waterloo, son of Michael & Mary Mataich Sulentic. He married Vione Worley on May 15, 1937 in Waterloo. Born in Butler County, daughter of Homer Clarence & Emma Viola Wendelborn Worley. 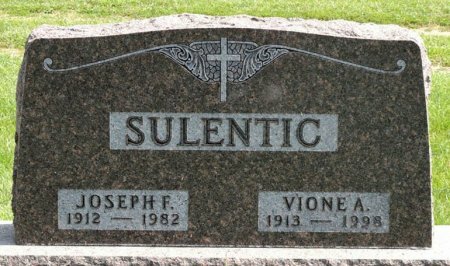 Searching for JOSEPH FRANCIS SULENTIC in Black Hawk County Iowa?